I am absolutely confident you will understand why Able Landscape Company is Greater Richmond’s Landscape Company of choice. I look forward to a long and satisfying relationship. Our monthly newsletter includes special subscriber-only promotions not available anywhere else. Most plants will need some pruning during their lifetime. Some plants will need frequent pruning and some will need it only occasionally. Either way, proper pruning technique is a skill that must be developed with practice. Pruning properly can mean the difference between a healthy and aesthetically pleasing plant and an unhealthy and unkempt plant. The first rule of thumb is to select the correct plant for the space. If you do that, you eliminate the constant battle to keep the plant from “getting out of hand”. If you want a plant that is five feet tall, then select a variety that will mature at five feet tall. By observing this rule, you will have a low maintenance plant. There are several reasons why you may prune a plant. The first reason you may prune is for aesthetics. This refers to the overall appearance of the plant. 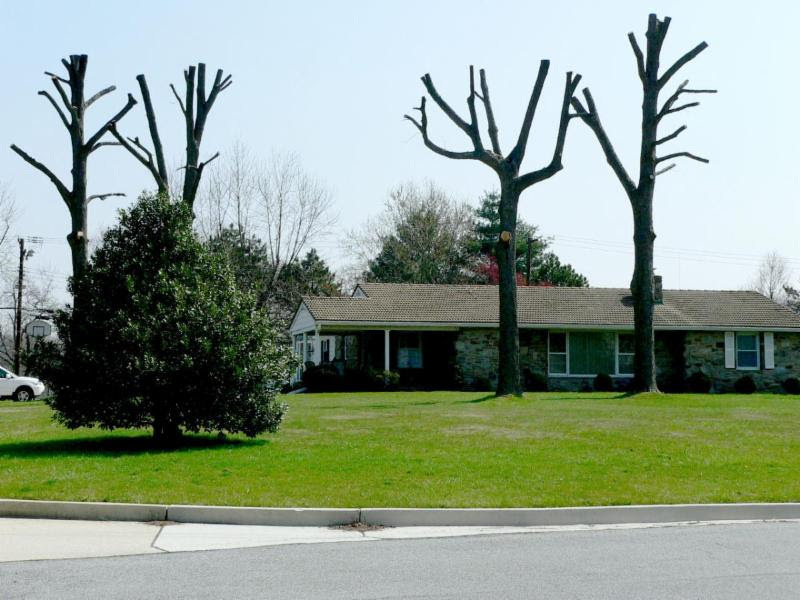 It may look “wild” or unkempt, so pruning off undesirable branches gives it a more neat appearance. Another reason you may decide to prune is to open up the canopy. This is done sometimes to thin out the branches in order to let more light and air circulation into the plant. 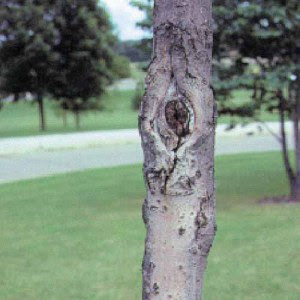 This is frequently done to ornamental trees like Cherry or Crapemyrtle. When thinning, remove branches that are crossed or pointing toward the inside of the plant. A third reason you may prune is to take off any sucker growth. These suckers might be found at the base of the plant; as in the case with roses or Crapemyrtles. The next reason to prune is to take out any dead wood or broken limbs. Still, another reason for pruning is addressing co-dominant limbs. When there is more than one dominant ” leader”, choose the strongest one and remove the rest. 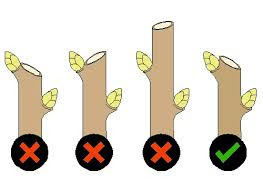 When pruning, avoid “poodle” or “lollipop” cuts and shearing. The only plants that should be sheared are hedges. Certain plants respond well to shearing such as Japanese Holly or Japanese Yew. Conifers usually do not respond well to shearing. The timing of pruning is dependent on the species of plant you are pruning. Most flowering shrubs get pruned immediately after flowering. 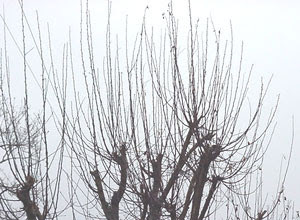 Trees are usually pruned just before breaking dormancy in late winter. Always cut branches back to the next crotch or node. Do not cut between branches. This will leave stubs. Stubs expose the sugary cellulose of the interior wood to insects, disease, and eventually rot. One horticulturist calls these stubs “sugar sticks”-the candy of the micro-organism and insect worlds. When you remove large limbs, practice Natural Target Pruning. It is important not to damage the trunk bark, as this can seriously damage or destroy the tree. 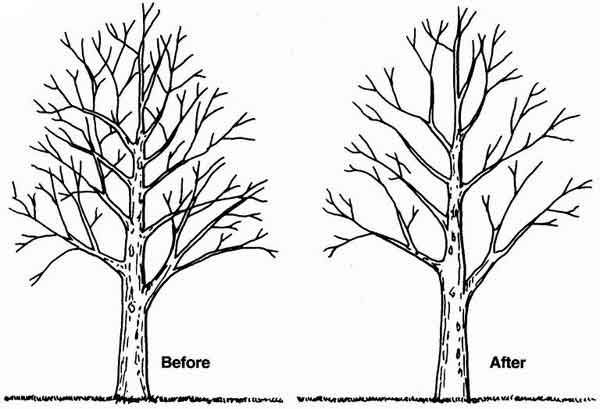 The process of Natural Target Pruning refers to the process of properly cutting off large limbs without permanently damaging the tree. 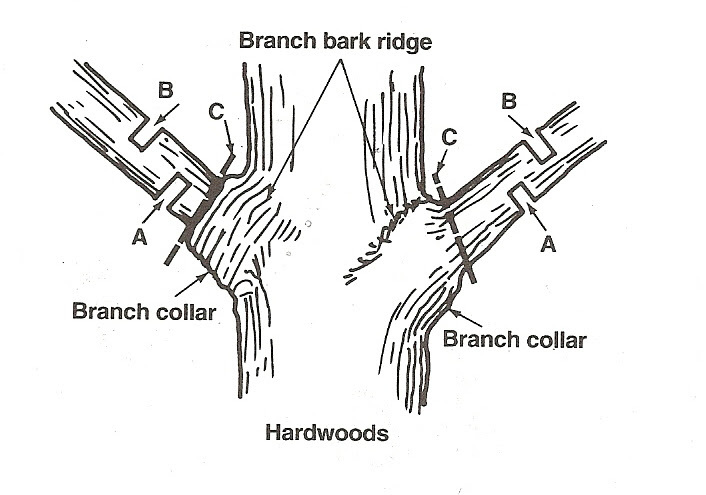 After selecting the limb to be cut, locate the branch bark ridge. This is the darker colored ridge between the branch and the trunk (see diagram). Just outside of this ridge is a swollen “collar”. This is called the branch bark collar (see diagram). Never cut into the branch bark collar. Modern science has discovered that the tree has natural enzymes stored in the branch bark collar that help the tree to seal off the wound and heal. Wound sealants are not used anymore because they can do more harm than good. 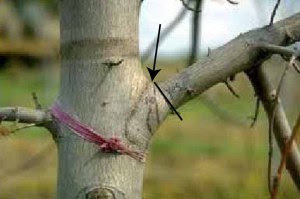 “Flush cuts” are very damaging to the tree because they remove the branch bark collar with the helpful enzymes, and expose the cellulose (sugar) to pests. 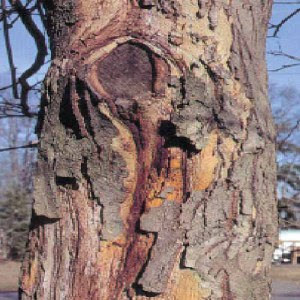 Flush cuts also damage the trunk bark. Next, decide where the final cut will be, just outside the branch bark collar (diagram cut C). Don’t cut yet. From this point, go several inches out and cut the bottom of the limb through the bark (diagram cut A). This will protect the bark from stripping down into the trunk as the limb falls. Next cut the limb off by cutting several inches out from this all the way through (diagram cut B) Cut B takes the weight of the limb off so that the final cut can be more easily managed. After the limb falls, go back and make the final cut next to the branch bark collar (diagram cut C). Remember, If you plant the correct plant in the first place, you will save yourself a lot of time and trouble for years to come. There are several reasons why you should prune. Once you have decided that the plant does indeed need pruning, follow proper pruning techniques. 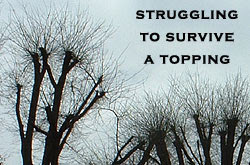 Never top a tree (crape murder is a form of tree topping). Don’t these look better than topping? 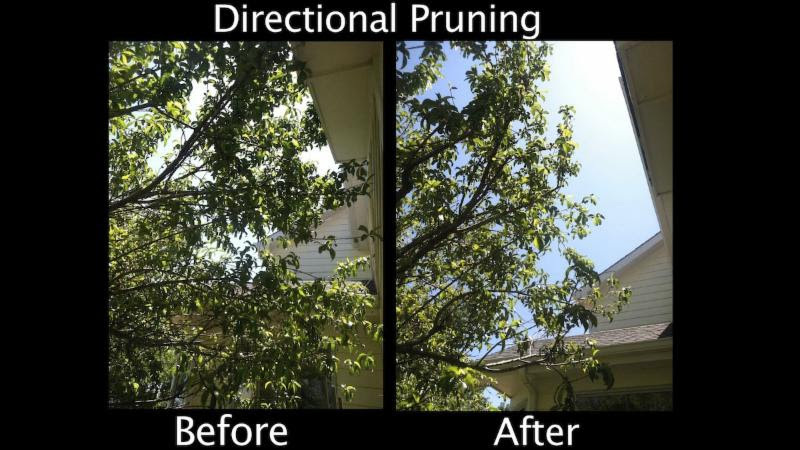 If you need professional pruning help please give us a call. Serving Greater Richmond, VA for over 31 years.